Home / Pencils / Faber-Castell Castell 9000 Design Set 12 pcs. 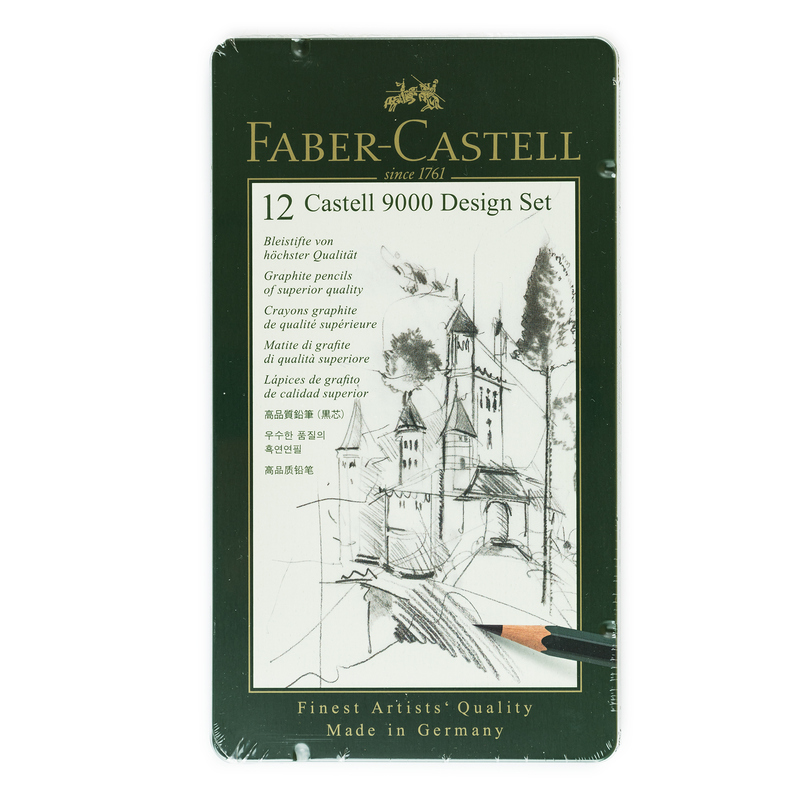 Faber-Castell Castell 9000 Design Set 12 pcs. Weight: 137 grams, shipping calculated at checkout (more details). 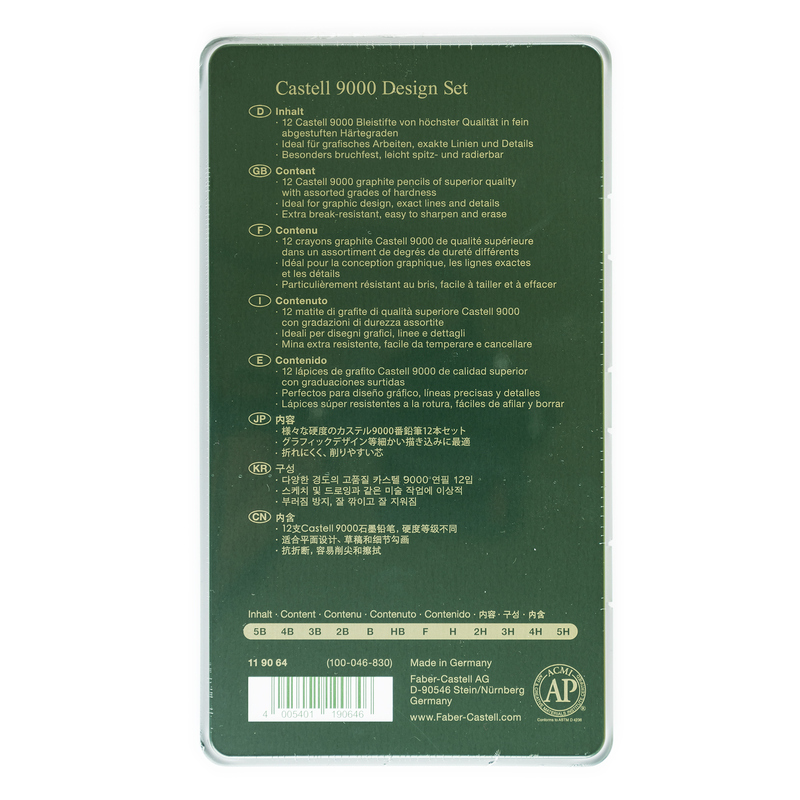 Design Set is a tin box of twelve top quality graphite pencils Castell 9000 in the following hardness grades: 5B, 4B, 3B, 2B, B, HB, F, H, 2H, 3H, 4H, 5H. 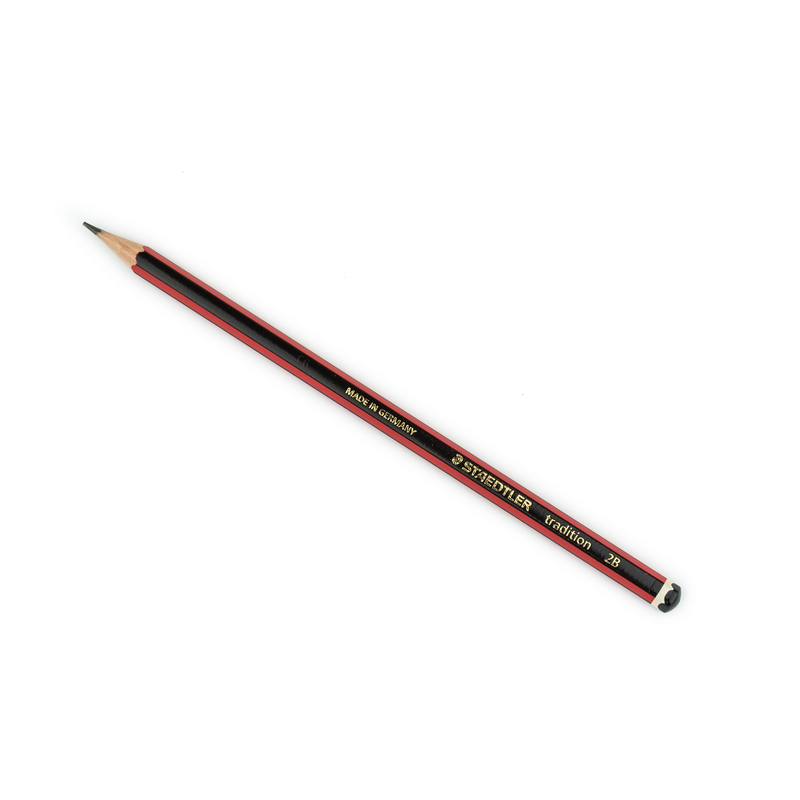 Ideal for technical drawing and sketching. 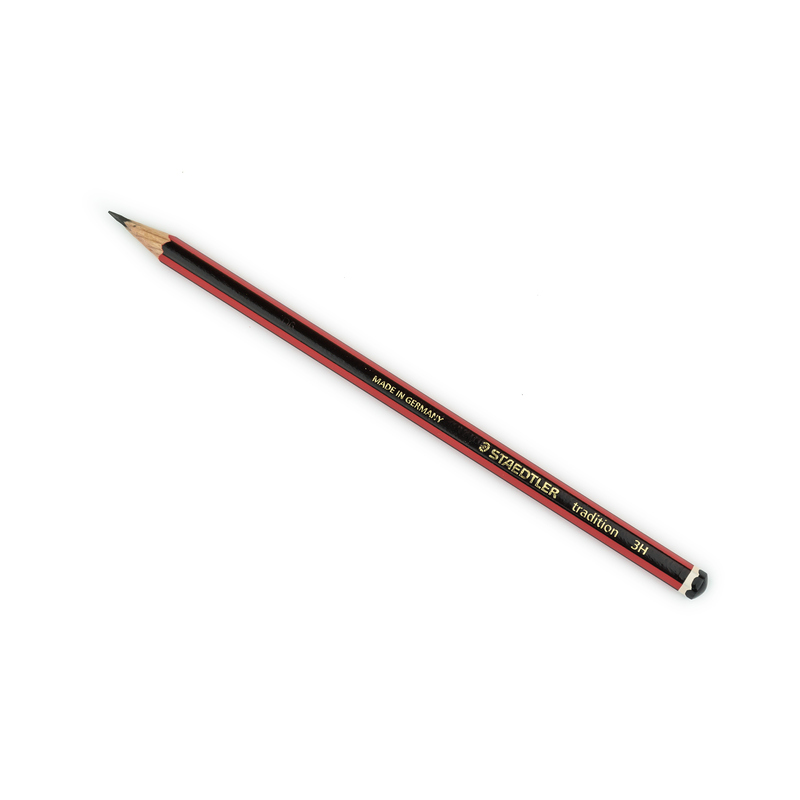 Castell 9000 is Faber-Castell’s flagship series of wooden graphite pencils. These pencils provide exceptional quality: extra break-resistance, smoothness of application, ease of sharpening and erasing. Here, at Scribe Market, you can also get Castell 9000 pencils of any possible hardness grade separately.